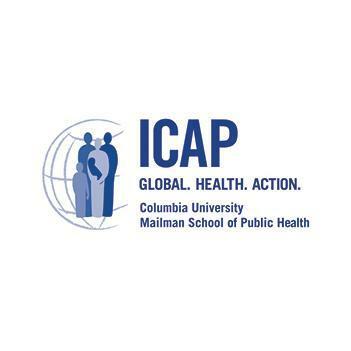 ICAP at Columbia University is a Non-Governmental Organization affiliated with Columbia University’s Mailman School of Public Health (MSPH) registered in Tanzania as MSPH Tanzania LLC since February 2005 (Reg. No. 00002080) ICAP currently operates in nine regions across Tanzania and employs over 230 people to deliver public health interventions in close collaboration with the Ministry of Health, Community Development, Gender, Elderly, and Children (MoHCDGEC) and the National AIDS Control Program (NACP). Since October 2016, ICAP has been receiving PEPFAR funding from Centers for Disease Control and Prevention (CDC) for a 5-year project delivering HIV interventions as the community implementing partner. Known in country as the FIKIA Project and currently in Year 3 of 5 for implementation, the project provides community-based HIV prevention interventions including HIV testing to key and vulnerable populations (KVP). The goal of FIKIA is to accelerate, expand, and improve the quality of comprehensive community-based HIV prevention services to KVP in order to achieve epidemic control. FIKIA implementation spans a total of 46 districts across nine regions (including Kagera, Kigoma, Mwanza, Geita, Simiyu, Mara, Pwani, Tanga, and Dar es Salaam), aiming to deliver essential HIV interventions to nearly 1 milion people each year. The Senior Finance Manager contributes to the overall success of ICAP in Tanzania projects by effectively supporting the implementation of all financial policies and activities in the program. As a member of the Finance Department, the Senior Finance Manager assists the Director of Administration and Finance (DAF) [ with financial reporting, management and Budget monitoring and control issues as required. The individual in this position must be able to adapt to a continually evolving environment; demonstrating both, the autonomy and collaboration skills needed to advance ICAP’s purpose and the leadership to inspire confidence of al internal and external stakeholders. Ensure the monthly review of consolidated organizational budget performance against the individual annual project budgets; forecasting expenses and tracking the ongoing commitments against the approved cash position. Advise the Director of Administration and Finance on issues, trends, and changes in the financial operating performance and operational delivery; proactively communicating issues that are anticipated before they arise. Assist in implementing yearly objectives and measurable metrics for Finance department performance both for individual Team members and the Unit overall in service delivery to other Units with ICAP in Tanzania and stakeholders. Support the long-term budgetary planning and costs management in alignment with ICAP’s strategic and project plans, especially to improve the organizational development, increasing Finance’s contributions to effectiveness and efficiency of the organization by leveraging technology and accurate information. Assist the Director of Administration and Finance to ensure the ICAP’s SMT are working to the approved budgets for programs and delivery through collaborative working practices. Work collaboratively across the all departments, field offices and Headquarters. Assist with the review of guidelines and collation of information for budget and monthly forecast preparation. Produce timely and accurate monthly period-end reports and schedules for review with DAF as required. Maintain financial records for each project or service in QuickBooks in a manner that facilitates timely and accurate management reports at month end. Support maintaining compliance with internal financial and accounting policies, administrative procedures and local statutory requirements. Provide accurate and timely reporting on the financial activity of individual projects and services across all cost centers with an ability to provide information in a timely manner. Provide accurate and timely reporting on the financial activity of individual projects or ICAP as an organization. Bachelor Degree in Finance, Accounting, Business Administration or related field. Must possess an Accounting qualification CPA (T), ACCA or related qualifications. At least Seven (7) years’ of relevant work experience in public/private sector working in Finance with experience dealing with high volume of information processing and Advanced Excel skills. Experience in financial management with PEPFAR/USAID and other donors’ contracts/cooperative agreements is essential including policy, procedures and reporting requirements. Excellent QuickBooks system knowledge and the ability to train or develop skills in other users. Experience with International transactions and accounting is preferred. Knowledgeable in GAAP, IAS, and IFRS. Excellent writing and high analytical skills. Qualified applicants should send their applications (cover letter) by 15th April, 2019 via email to icap-jobs-tanzania@columbia.edu. mentioning in the subject line the Position Title. Please do NOT attach any certificates when submitting online. ICAP is an equal opportunity employer.